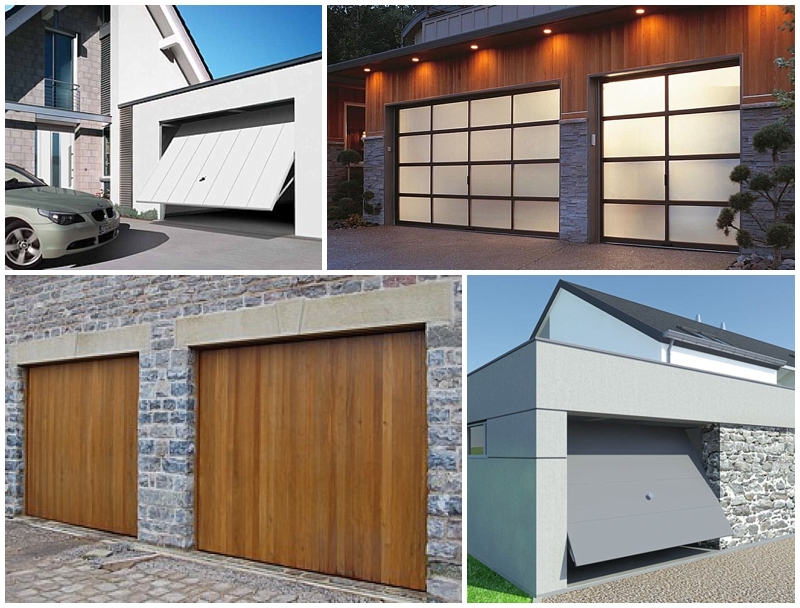 Do Up Diary #48 Choosing A Garage Door – Must be gorgeous AND practical! Hmmmmm. This has proven to be no mean feat. 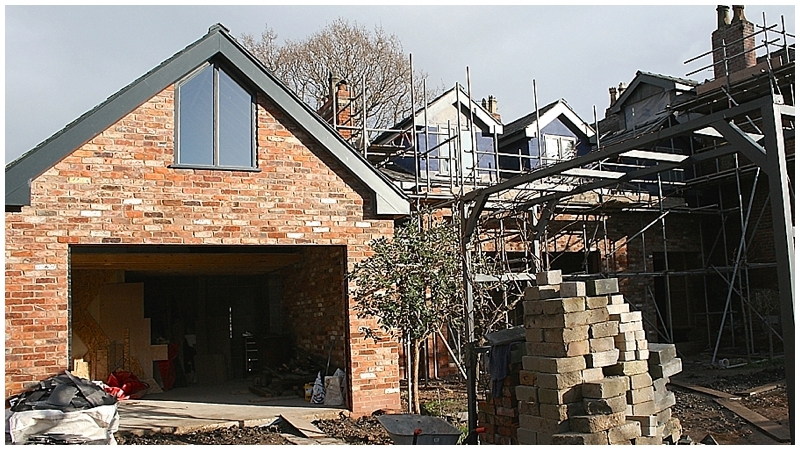 The new garage / workshop built in the last few months here at Moregeous Mansions plays an integral part in our overall house design as it’s going to be so well used. Not only does it frame the rebuilt West Wing on one side, thus is always on view, but it’s more of a creative cottage than a garage. Obviously it’s werll on the way to being gorgeous, with it’s a high vaulted ceiling, large window flooding light in and special reclaimed brick internal wall, because the plan is to hold DIY & design courses here so the space will be used by us and guests all throughout the year. 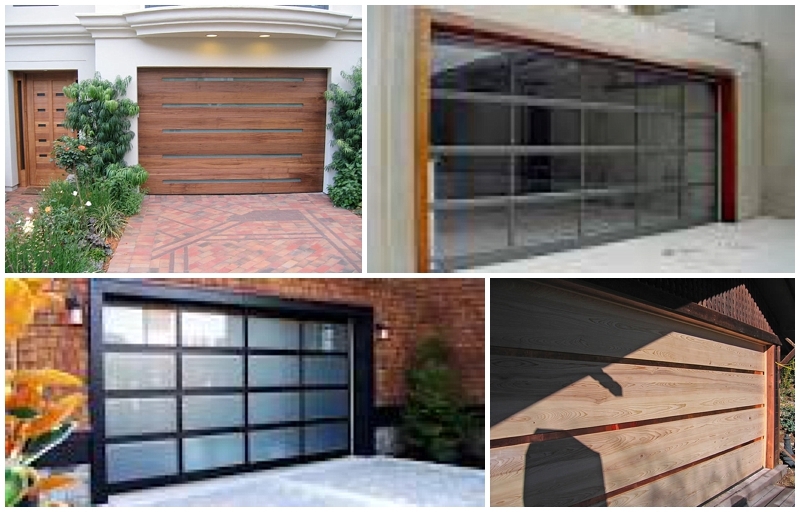 The huge 4m x 2.5m door need to be both fabulous looking and practical. Although I love pretty wooden doors like these ones seen on Pinterest – – there are obstacles in the way. I can’t have a barn door type slider as there’s no room to either side, our opening is too big to hinge open as a single door and if I split it down the middle, one of the doors when opened will block both access and the view to and from the garden, which I don’t want. 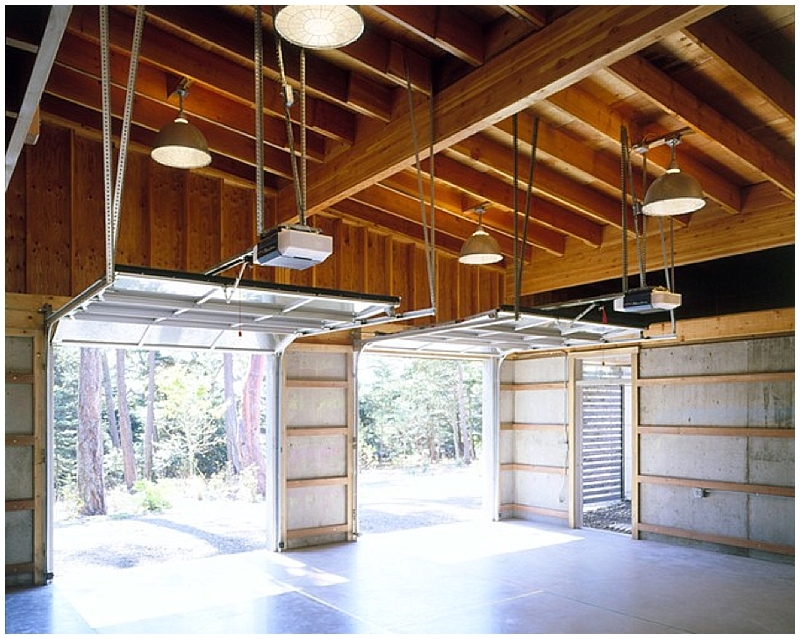 An up and over garage door has been suggested, where the opener lifts up manually or electronically and hangs overhead, meaning no space is required outside on either side and no view or access blocked. These are usually quite affordable and can look great whether traditional or contemporary. I could have anything I wanted, wood, glass, metal or a painted finish – – but here’s the thing. We’ve installed a lovely window letting in lots of workshop light which coupled with the mezzanine storage floor means an up and over would block all the light, rendering the window pointless from a practical perspective and making the suspension of the opened door quite difficult and also quite ugly in my opinion. 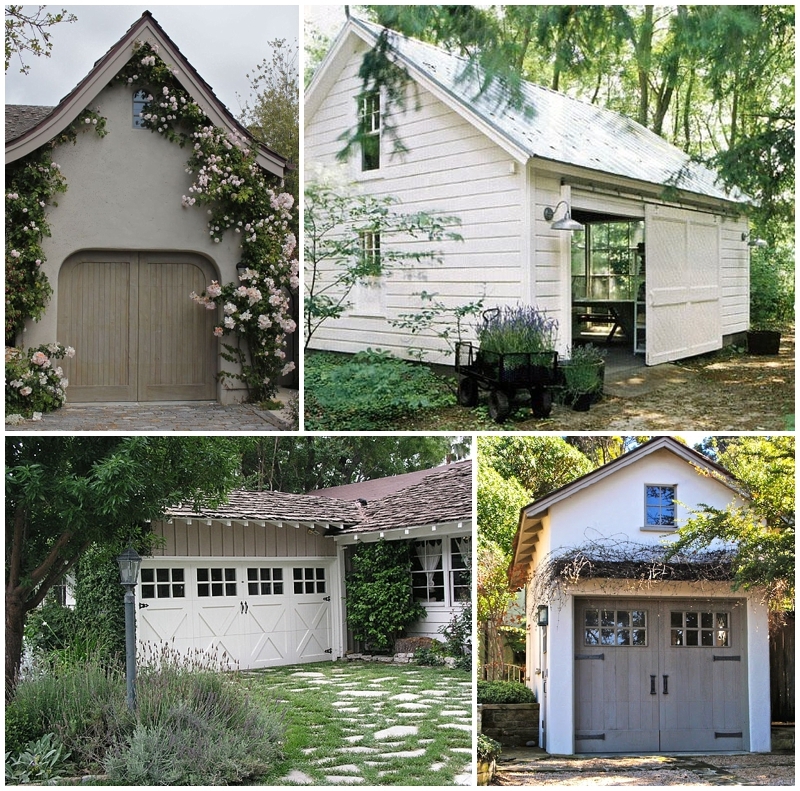 We’ve a big garage but not quite as big as this beast below seen on Gardenista. You can see what I mean by having to suspend the garage door from above on this image, it works in their huge space but would look messy in my smaller one. With up and overs out of the equation I had to kiss goodbye to my secret yearning for a burnished, shimmering metallic door, however our south facing garden means it’s probably a good thing as we’d have been blinded every time the sun came out. Granted, that’s not often in Manchester and they seem to cope in California where most of the copper doors I lusted over were fitted! Hmmmm, which colour to go for!! Do Up Diary #49 Yep, it’s snowing. In the house! Hmm, so given the dual purpose nature of the garage (sounds much more like a workroom), have you considered a bi-fold door arrangement. I investigated an automated bi-fold arrangement for a project and upto ~5m span was do-able with 4x sections, remote/electric powered and folding back onto just one side of the opening. 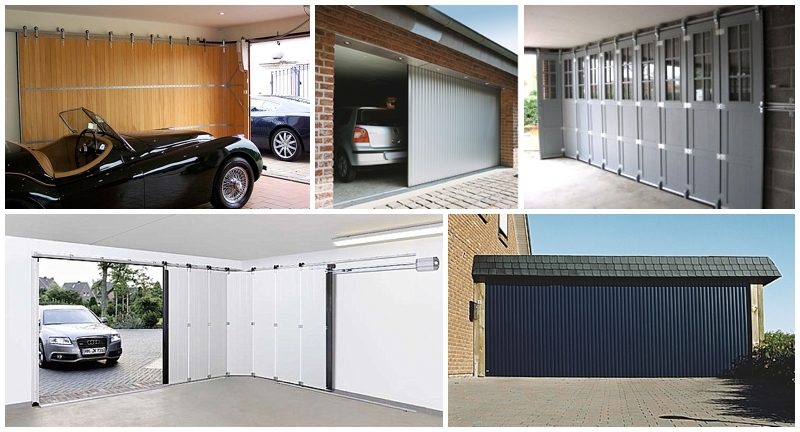 With appropriate choice of panel design its relatively easy to give the garage/workroom some character doors with both light and security aplenty. The other design which is quite common in the US, but little seen over here that might be appropriate is a split fold door. Built in two panels above/below a horizontal split, when powered up the sections hinge points scissors out collapsing the two panels on top of one another and pushing them up to the top of the aperture. Done carefully this can leave you with a “canopy” atop your void which is great in summer for opening the room up but with some shade available. Making the upper panel mostly glass again will give great lighting in the room as well. This has the distinct advantage of no intrusion into the room in the open position as the “door” is outside the building at all times, so headroom is maximised. The small worm drive motor is all that needs to be located. Yes, it does appear that they are geared up to exciting garage doors across the pond, maybe because they have much bigger cars and property plots?! 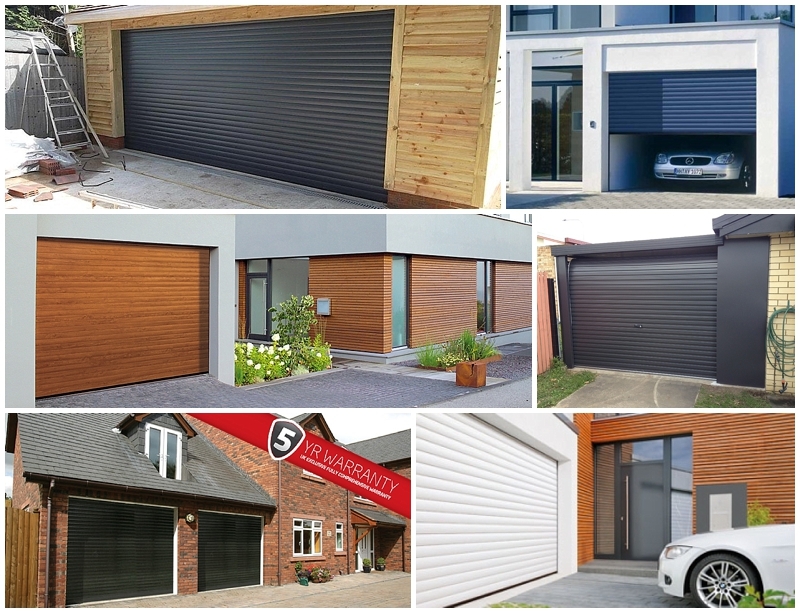 I looked into bi-folds but it seemed there was much more to go wrong than with a roller door, plus they are much more costly and also the opening and closing mechanism meant moving items if we were e.g. doing upholstery part in and part outside and wanted to close the garage. I may well look at them again after your comments though! Fab points though, I feel I should add in some more blog pics! !